You spent plenty of time and energy picking out the right vehicle for you. Whether your vehicle is practically a family member or you regard it as an asset that gets you to and from work each day — your time, energy, and brainpower went into the process of purchasing the vehicle. It only makes sense that you’d treat something as important as parking with the same consideration. Unless you live in spacious suburbia, you’ll have to decide where to park your vehicle and how much you’ll pay to do so. Your property might come with a cozy garage spot or a private driveway, but many people in urban areas must find other on- or off-road vehicle storage. We have all heard the horror stories—from sideswiping on city streets leading to mirrors being ripped clean off to expensive monthly parking bills that rival rent prices—and it pays to think about the costs versus the benefits of different parking situations. If you’re sure that you don’t want to cruise the block looking for a space to park every night, off-street parking may be your best bet. Parking Network gives a good idea of various options you may want to consider in your quest for safe parking: indoor and outdoor private lots, garages, and driveways with a spot for sale. The price generally inflates in proportion to the amenities, with outdoor lots costing less and heated, indoor garages costing the most. You will also pay for the location. The hosts of the popular radio show Car Talk had some advice for a listener arguing with her boyfriend about whether to keep their car in a garage. Choosing a heated, indoor space can protect your beloved vehicle from the elements, and even prevent engine wear and tear over time because oil that avoids getting cold and viscous does a better job lubricating the system. Bonus: You won’t have to wake up a half hour early to scrape off your car if you live in a wintery climate. Make a budget and compare all the off-street parking options you can find in your area. A ten-minute walk could cut your rates drastically if the lot is in a less popular area, as could a willingness to park outdoors for part of the year. Maybe you’re working with less of a “budget” and more of a “lack thereof.” Or perhaps you live in a permit parking area with a very reasonable sticker rate. Parking on the street can be an excellent way to cut down on transportation costs, but it’s worth it to think about the risks. If someone scratches, dents, or vandalizes your car on the street, it’s up to you to compare the damage against your auto insurance deductible to determine if it’s worth it to make a claim. 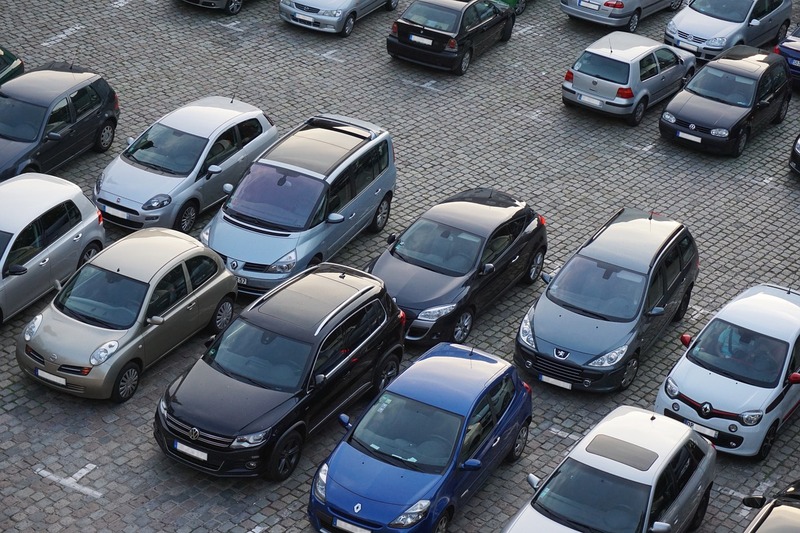 Forward-thinking drivers factor in potential incidents when determining where to park. Do you have minimum liability insurance, or full comprehensive coverage that would protect you in the event of such an accident? Before squeezing your car into a curbside space every evening, it’s important to compare auto insurance rates to find coverage that won’t leave you high and dry if someone hits your car and runs. Alternative-side parking, permit zones, special event restrictions, and more can make on-street parking more than a little bit confusing. A parking ticket here or there may be a sting to your wallet, but a series of unpaid parking tickets can spell trouble for your insurance premiums down the line if they affect the validity of your vehicle registration. The New York Daily News points out that unpaid tickets can lead to a registration revocation that’s quite expensive to reinstate. Driving with a gap in registration and getting pulled over constitutes a moving violation, which can absolutely affect your insurance rates down the line. Responsible on-street parking means anticipating and handling parking violations in a timely manner. All in all, drivers should look beyond initial cost and convenience when they’re choosing the best place to park. On-street parking may have a lower sticker price, but drivers assume more risk that could eventually reflect in their insurance premiums. Off-street parking may be more secure, but almost always costs significantly more and involves a longer walk. The keys are in your hand, and it’s time to critically consider which side you’re on in the great parking debate.